Home > Ubisoft Entertainment S.A.
Found 2 file extension associations related to Assassin's Creed series and 1 file format developed specifically for use with Assassin's Creed series. 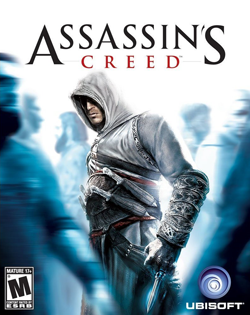 Assassin's Creed is a historical fiction action adventure open world stealth video game series developed by Ubisoft for Microsoft Windows, Mac OS X and various video gaming consoles, like PlayStation 3, PlayStation 4, Xbox 360, Xbox One etc. If you need more information please contact the developers of Assassin's Creed series (Ubisoft Entertainment S.A.), or check out their product website.